Bird is an independent musician, songwriter and producer from Toronto, Canada. He started out working with Canadian hip hop artist Abdominal, when he was asked to executive produce the artists first album “Escape From The Pigeon Hole”. He followed up with work on the Juno nominated “The Book”, by Canadian artist D-Sisive, and the follow-up album “Let The Children Die” which was long listed for the Polarize Prize. Bird's debut album labeled ʻLa Notteʼ garnered International recognition from Okayplayer, Andy Warhol Magazine, The Monocle, even DJ Maseo of the acclaimed group De La Soul tweeted in support of the single 'Still Shine'. Bird has been interviewed by Exclaim!, NOW magazine, the CBC when his single 'Crazy' was chosen as 'Song of the Week' on the show 'Here and Now', The Grid TO named him as "Ones to Watch" in 2013 and he was also named as one of the 'Top 50 Independent Urban Acts' by UK's Independent Music News. Aside from his album production, he has also worked as a music producer for the Gemini winning television show “Departures” and the newest spinoff show “Descending”. 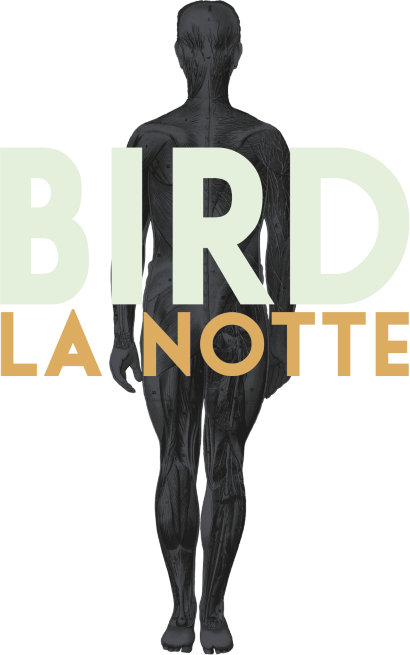 One of the showʼs creators, Andre Dupuis, collaborated with Bird helping direct two videos off the album ʻLa Notteʼ. With over a quarter-million views on Vimeo and Youtube. Vimeo picked his self directed "The Whole World Knows" as a Vimeo Staff Pick. Along with the music production and vocals off his debut album, ʻLa Notteʼ features acclaimed artists Little Brother, Odonis Odonis, Abdominal, D-Sisive, Notes To Self, Tanika Charles and more. 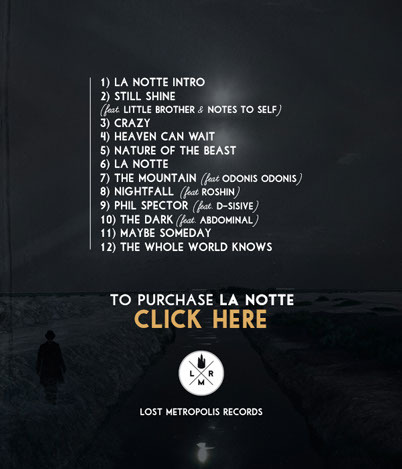 'La Notte" is the first release on Lost Metropolis Records. Bird is currently working on his second album. For more news please follow Bird on Soundcloud, Facebook, Twitter, Vimeo, Instagram, and Tumblr. Stephen Strangways, Steve Otvos and Jeff Wilson for their help. Graphics: Mike McDougall, Steve Otvos, and Andre Dupuis.